Spring has finally arrived in the Okanagan Valley and with it, the beautiful Okanagan sunshine, budding vines and new spring releases from our award-winning wineries. In celebration of the new season and new releases, the Okanagan Spring Wine Festival is once again hosting signature events throughout the region from May 1-11. Tasting events, dinners, galas, receptions and other tantalizing affairs are all guaranteed to enhance your knowledge of the region's best wines and tempt your palette with delectable food and beverage. Dozens of the Valley's wineries will be on hand at each event and will be hosting various events on their own properties to toast the new season. 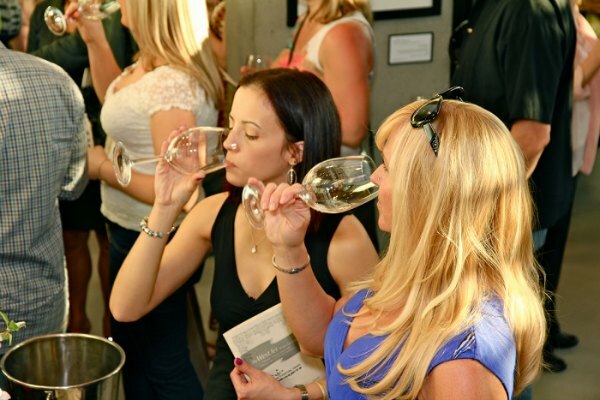 For anyone who has never attended any of the Spring Wine Festival events, a good introduction to the events would be to check out individual wineries and take a look at their calendar to see when your favorite wineries will be on hand at specific events this spring. Another way to uncork this spring's Okanagan Wine Festival is to visit the official website http://www.thewinefestivals.com/events/index and browse through the list of events coming up this week. With more than 200 single events to choose from, there is truly something for everyone-even the most novice wine enthusiasts. Unsure of what to expect? Expect to taste many glasses of the Okanagan's finest wines, enjoy many sweet and savory food pairings, and rub shoulders with many other wine and food enthusiasts, winemakers and special guests alike. Whether you're a casual wine drinker or an expert on the finer notes of wine tasting, these events are designed to expose you to a wide variety of Okanagan releases, some of the best food in the region and above all else, celebrate spring and all its beauty! I would also like to add that in case you do not actually have an insurance policy or maybe you do not belong to any group insurance, you will well take advantage of seeking aid from a health broker. Semfeelploy-d or individuals with medical conditions usually seek the help of any health insurance agent. Thanks for your article.